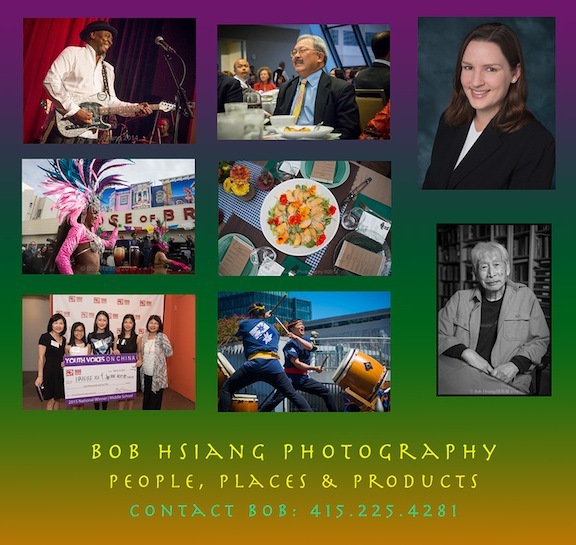 Bob Hsiang Photography brings over 25 years experience to still photography. His career has spanned the areas of photojournalism, lifestyle, editorial and products. Bob is well known for his portraiture in the studio or on location. Appointments can be booked generally on a 3-day notice. In the area of corporate events, Bob has photographed many special events such as expositions, conventions, parties and award ceremonies. In addition, he has many years experience in performance photography and the documentation of fine art painting and objects. For an update of recent projects, see my blog. will receive a 15% discount on all studio or location services.